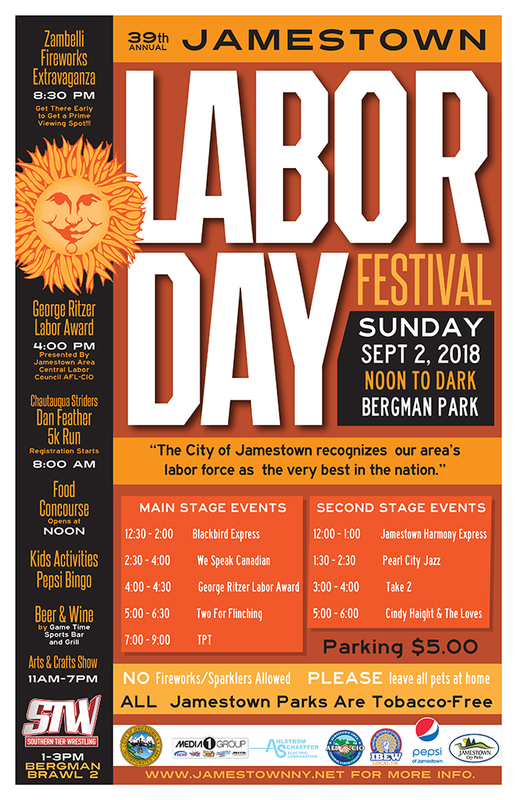 JAMESTOWN – The Labor Day weekend is upon us and there’s a variety of activities and events in store to keep people busy all weekend long, including the 39th annual Greater Jamestown Labor Day Festival will be held Sunday, April 2 at Bergman Park. The day begins with the annual Dan Feather Memorial 5K run, organized by Chautauqua Striders, with registration beginning at 8 a.m.
At noon the festival events begin, providing residents with a day of food, music, and other events for the whole family, including a professional wrestling event beginning at 1 p.m. and provided by Southern Tier Wrestling. At 4 p.m. the Jamestown Area Central Labor Council AFL-CIO will present former City Councilman and retired DPW employee George Spitale with the George Ritzer Labor Award. The day will wrap up with a fireworks extravaganza, beginning shortly before 9 p.m. There is no cost for the event, although there is a $5 fee for those who wish to park their vehicles in the Bergman park parking lot. 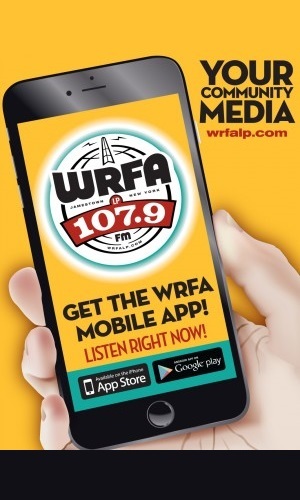 All money raised is used to directly fund festival activities and support the host of non-profit community service agencies who participate. Attendees should also keep in mind that all tobacco products, including chewing tobacco and e-cigarettes, are prohibited at the park under city law. The use of private fireworks and sparklers are prohibited in the City of Jamestown and, thus, the Labor Day Festival. Pet owners are advised to leave their pets at home for both their safety and the safety of others. For more details on the Labor Day Festival, visit the city of Jamestown website’s Labor Day Festival page.